The massacre of 14 peasants in Canlaon City, Majuyod, and Sta. Catalina by the joint operation of Philippine National Police (PNP)- Special Action Forces and the Armed Forces of the Philippines (AFP) last night exemplifies the worsening fascism of the US-Duterte regime in its attempt to silence the opposition with an iron fist. BAYAN-USA condemns the killings and holds the US-Duterte regime responsible for their deaths, which has now added to the 180 farmers that have been killed under his administration, 40 of whom were from Negros island. “Our hearts pour out to the victims and their families, while our anger takes aim at the U.S.-Duterte regime. This cowardly regime has launched a campaign of terror against peasants and farmers of Negros, who dare to stand up for their rights. 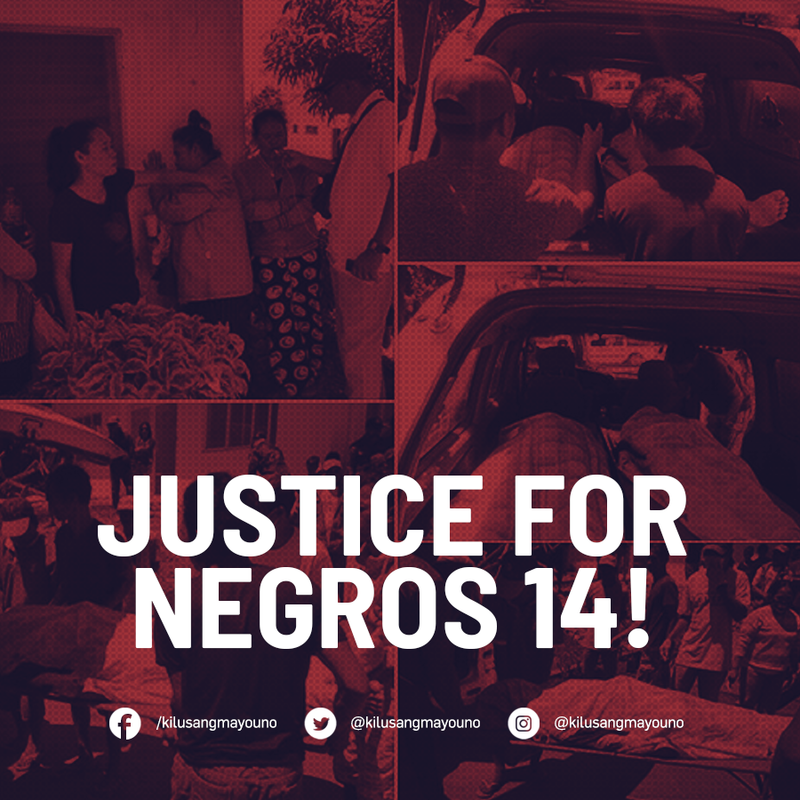 The Negros 14 were courageous peasants activists like the Sagay 9, who were farmers engaged in a collective farming project and gunned down in their sleep by the military-backed private army of a wealthy landlord family in Sagay City, Negros, last year. Clearly, Duterte and his minions are trying to permanently silence people who challenge Duterte’s starvation policies,” said Rhonda Ramiro, BAYAN-USA Chair. “It is shameful that the United States is feeding this killing spree by providing unrestricted aid to the Philippine government, military and police, to the tune of $184.5 million dollars in military aid in 2018. Despite the mushrooming human rights violations and fascism under Duterte, the U.S. has now promised at least $108 million for 2019. If the U.S. maintains this level of support for Duterte, impunity will continue to flourish and the U.S. government must also be held accountable for each person killed by the PNP and AFP,” ended Ramiro. 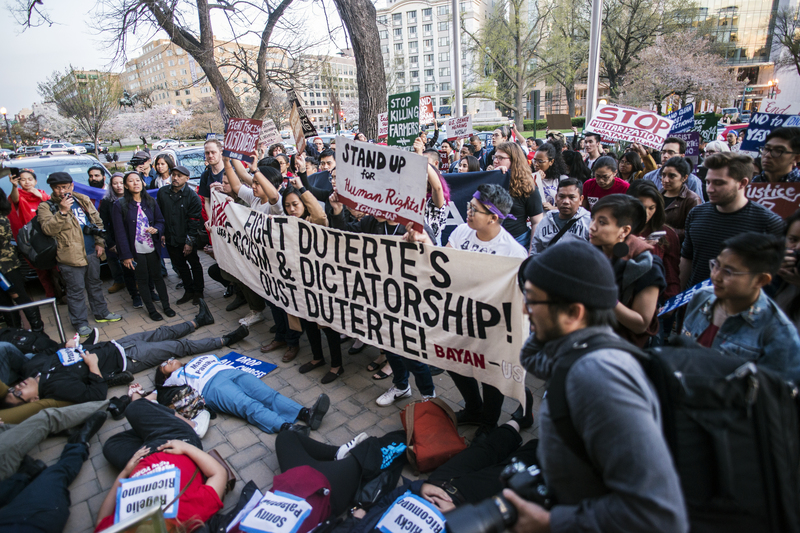 BAYAN USA calls on its members, allies and friends to condemn and fight against Duterte’s violent attacks on peasants, journalists, farmers, lawyers, people of faith, activists and all those who are taking a stand against his fascist regime. The US-Duterte regime must be held accountable. People in the United States must demand an end to U.S. support for the Duterte regime and a stop to the funding of the murderous Philippine police and military! Take action by signing the petition for a Senate hearing and attend the National Summit for Human Rights and Democracy in the Philippines this April 6-8, 2019 in Washington D.C.